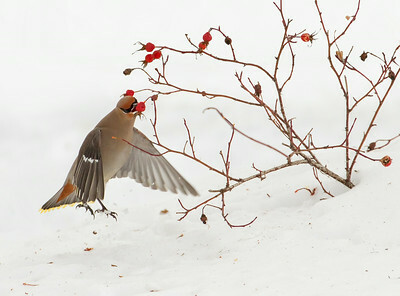 Taking advantage of some really nice light and reflections for this shot. 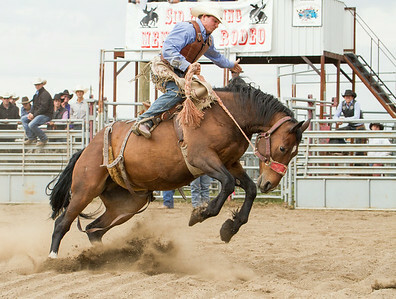 Taken somewhere on a long gravel road NE from the Millarville racetrack. 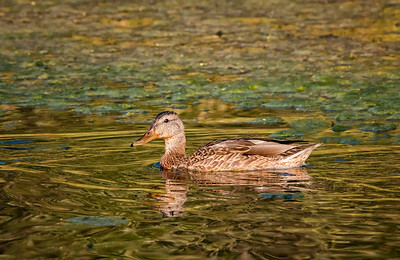 The ponds are all starting to dry up, we've had such a nice summer this year. 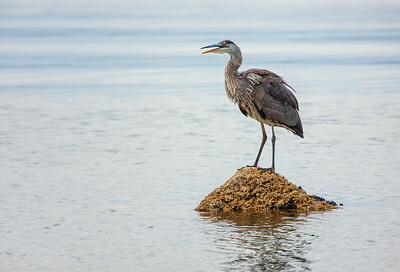 The Blue Heron is standing on a mound of barnacles in Pat Bay (just outside Sidney on Vancouver Island). 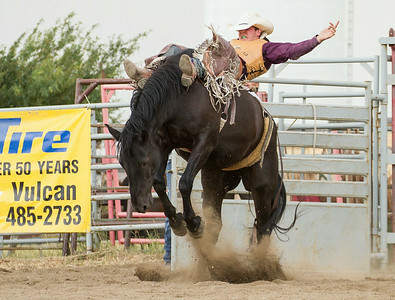 Riders aren't supposed to use their free hand. 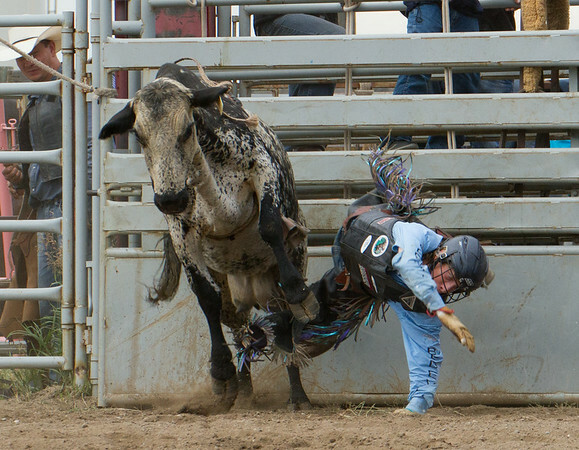 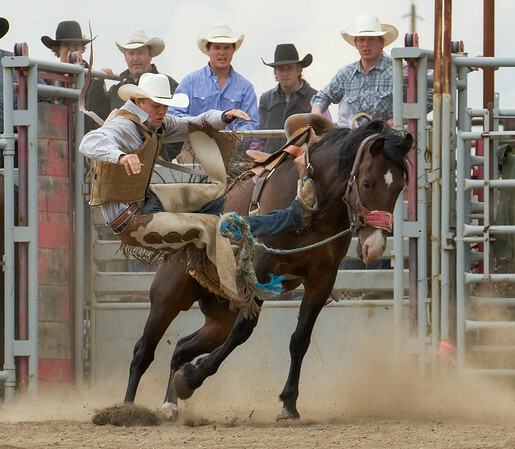 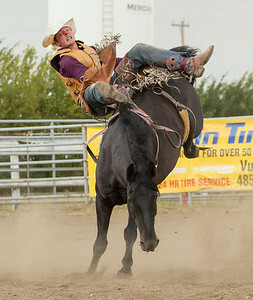 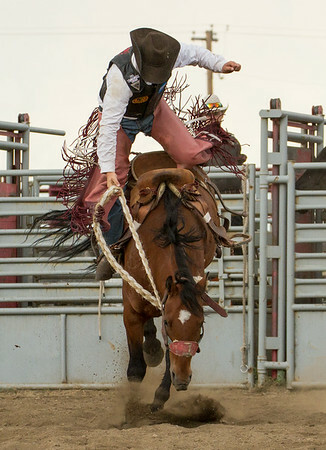 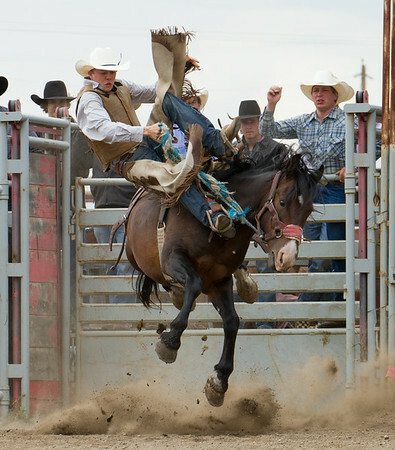 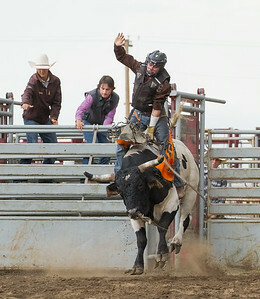 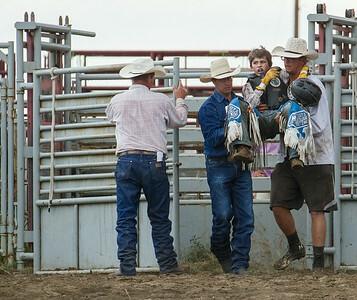 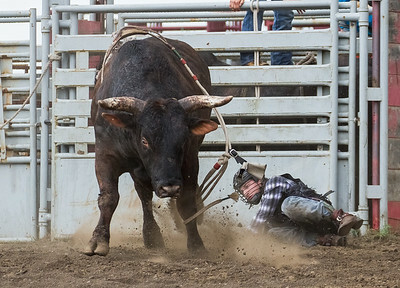 Something happened just before coming out of the chute which caused this cowboy to grab with both hands. 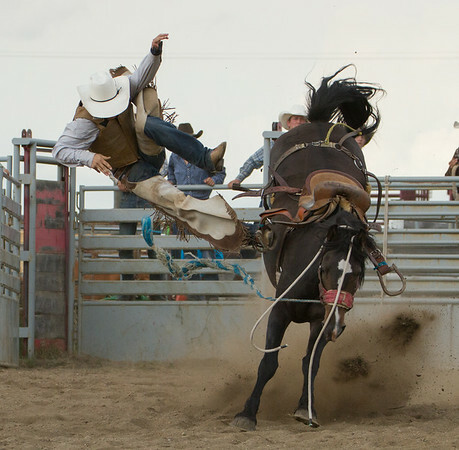 Looks like this landing might hurt a bit! 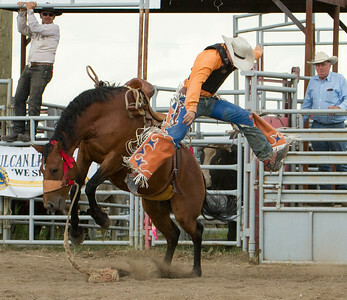 This is a Junior competitor. 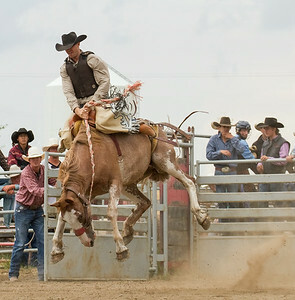 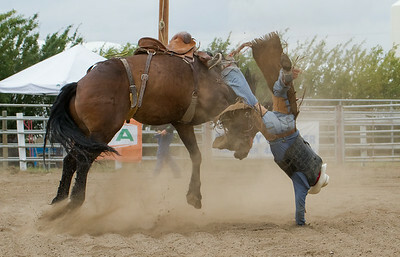 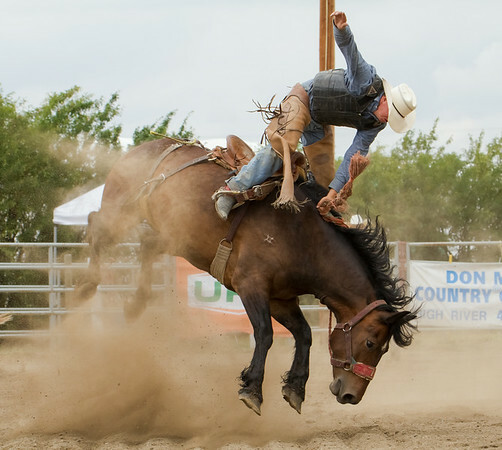 Sounded like the Calgary Stampede sponsors their rides in some of the small local rodeos, so they can gain experience.